1. What are the overall expected benefits of the revised directive once it comes into force? As buildings are responsible for approximately 40% of energy consumption and 36% of CO2 emissions in the EU, more renovation of existing buildings has the potential to lead to significant energy savings, which could reduce the EU’s total energy consumption by 5-6% and lower CO2 emissions by about 5%. More energy efficient and smarter buildings can also provide higher levels of wellbeing for their occupants and improve their health by reducing illnesses and deaths caused by a poor indoor climate, as well as reducing the energy bills of many households and thus help alleviate energy poverty. Finally, as the construction industry generates about 9% of Europe’s GDP and directly accounts for 18 million direct jobs, boosting construction activities that include renovation work and energy retrofits can foster job creation in the sector and increase economic growth in the EU. 2. 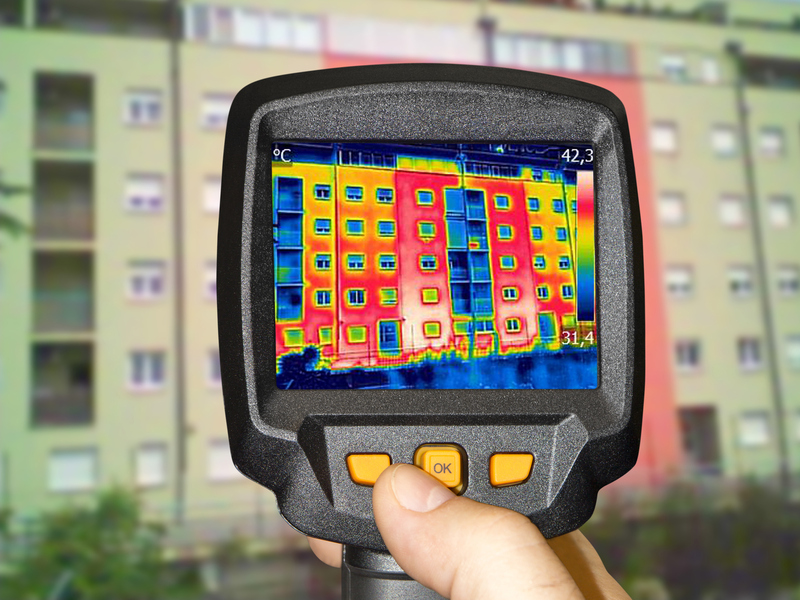 What was the intention behind the revision of the existing Energy Performance of Buildings Directive? What are the main objectives of the revised directive? The building sector in the EU is the largest single energy consumer in Europe, absorbing 40% of final energy: however about 75% of buildings are energy inefficient, and, depending on the Member State, only 0.4-1.2% of the stock is renovated each year. This gap led the European Commission to put forward this proposal to tap into the vast potential for energy efficiency gains in Europe as well as the possibility of finding new economic opportunities in the construction industry. The main objectives of the directive are: to create a clear path towards a decarbonised building stock in the EU by 2050; to encourage the use of information and communication technology (ICT) and smart technologies to ensure buildings operate efficiently; to support the rollout of e-mobility infrastructure; to introduce a "smart readiness indicator" which will measure the buildings' capacity to use new technologies and electronic systems to adapt to the needs of the consumer, optimise its operation and interact with the grid; to integrate and substantially strengthen long term building renovation strategies, including with a solid financing component; to mobilise public and private financing and investment; and to help combat energy poverty and reduce the household energy bill by renovating older buildings. 3. Where is the EU added-value? Could the goals not have been achieved through national or regional action instead? The EU intervenes on energy performance of buildings prudently, only where it is justified, and leaves significant flexibility to Member States, respecting subsidiarity by setting a common minimum framework and leaving implementation and adaptation to national and local conditions to Member States, with significant margin for taking into account the local conditions. From a macroeconomic perspective, EU action on energy performance of buildings has a positive impact on the competitiveness of related sectors and ultimately on growth and jobs at an EU-wide level. Finally, as far as fighting climate change, security of energy supply and environmental protection are concerned, the European Commission believes these are challenges that cannot be sufficiently addressed at national level only. There is a strong Union dimension that justifies setting a common ambition level for energy efficiency in buildings as a way to ensure that the EU as a whole achieves its greenhouse reduction targets in the most cost-effective way. 4. How does this proposal fit within the overall Clean Energy Package? Does it contribute to the EU’s clean energy transition and our decarbonisation goals and Paris agreement commitments? The proposal to revise the Energy Performance of Buildings Directive is an important part of the implementation of the Juncker Commission priorities to build "a resilient Energy Union and a forward-looking climate change policy". The Commission wants the EU to lead the clean energy transition. For this reason the EU has committed to cut CO2 emissions by at least 40% by 2030 while modernising the EU's economy and delivering on jobs and growth for all European citizens. In doing so, the Commission is guided by three main goals: putting energy efficiency first, achieving global leadership in renewable energies and providing a fair deal for consumers. In order to achieve these objectives, it presented in November 2016 the Clean Energy for All Europeans package of which the buildings directive is one key element. Having an agreement on the revision of the Energy Performance of Buildings directive is an important and concrete delivery of the Clean Energy for All Europeans package and it sends a strong signal as the building sector has a vast potential to contribute to a carbon-neutral and competitive economy. 5. I am a tenant, I am a homeowner, how am I concerned by the revised directive? Will my energy bill be significantly reduced? Better performing buildings provide higher comfort levels and wellbeing for their occupants as well as improving their health. Adequately heated and ventilated dwellings alleviate negative health impacts caused by dampness, particularly amongst vulnerable groups such as children, the elderly and those with pre-existing illnesses. The revised directive should have an impact on currently low renovation rates, accelerating renovation of buildings in the EU. Thanks to the changes proposed, Member States will increase their support to renovation of existing buildings. As a homeowner, as a tenant, there will be more chances your dwelling is renovated to reach a higher level of energy efficiency. This means it will be able to fulfill your needs with less energy and that indoor comfort and your wellbeing can be improved. With the encouragement to use information and smart technologies, your building will also operate more efficiently, with better automation and control systems to control its energy consumption. For example, the new smartness indicator will assess the technological readiness of the building to adapt to the needs of the consumer, and optimise its interaction with the grid. All these control mechanisms will contribute to the reduction of the energy bill of the household. 6. I am a building and renovation contractor; how will I benefit from these initiatives? What will the jobs and growth impact be of this proposal on the EU’s economy? Overall, a clear a positive impact on GDP is expected with the full implementation of these proposals, in particular driven by extra investments in energy efficiency. A 0.61% increase in GDP by 2030 compared with the reference scenario is expected, with most of the boost arising in the construction and engineering sectors. EU additional building energy-efficiency investment by 2030 is approximately expected to add up to €101bn. A building and renovation contractor will benefit from this higher local investment in building renovation, as well as from the higher demand from consumers in the long run. For the EU as a whole, total employment is expected to increase by +0.25% (approximately 568,000 jobs) by 2030. 7. I live in an old, inefficient building, how will this Directive impact my situation? The main objective of revising the directive is to support and further reinforce the renovation of existing buildings, with the aim of gradually making the EU building stock evolve towards more efficient and smarter buildings. Financing is an important element in making energy efficiency investments happen and this is why the new provisions promote efforts to attract private financing for energy efficiency on a large scale, including through more effective use of public finance. By renovating an old energy-inefficient building, the following benefits can be expected: reduction of utility bills; increase of the ability to keep home adequately warm; improvement of the health of the tenants by reducing illnesses and deaths caused by a poor indoor climate and the presence of leaks and dampness. The revised directive also supports the uptake of technical innovation in the building sector, where there is a lack of investment despite short payback periods. 8. Is there EU funding to help fund more energy efficient buildings? How can I access it? Current EU financing strands are already playing a key role in supporting the mobilisation of financing for energy efficiency investments in buildings. As part of the Investment Plan for Europe, an important share of energy projects approved for financing under the European Fund for Strategic Investments (which equal to 21% of the overall €274 billion euro in total investment) concerns the energy efficiency and the renewable energy sectors. In parallel, investments in this area are underpinned by the European Regional Development Fund and the Cohesion Fund, which will invest 17 billion euro in energy efficiency in public and residential buildings and in enterprises, with a focus on SMEs over the period 2014-2020. This is will be complemented by national public and private co-financing, reaching an estimated total of some EUR 27 billion. Building upon existing instruments, the Commission has also launched the "Smart Finance for Smart Buildings" initiative, which includes key measures to further promote investments for energy efficiency and renewables in buildings. This initiative will support the more effective use of public funds, including through the development of flexible financing platforms allowing their effective combination, it will help project developers bring good project ideas to maturity and it will make energy efficiency investments more trusted and attractive for project promoters, financiers and investors. The deployment of this initiative requires further effort and a close cooperation with the European Investment Bank, the Member States, project developers and the financing community. The revised directive strenthens the links between public funding for building renovation and energy performance certificates. After renovation works, an energy performance certificate (or equivalent method that shows improvement in energy performance) will be issued, which will ensure effectiveness of public financial support. 9. I have an electric car, how does this Directive help me? The lack of recharging infrastructure is a barrier to the take-up of electric vehicles in the European Union, as it has a major influence on customer acceptance. The Energy Performance of Buildings directive is a powerful policy instrument to accelerate the deployment of the recharging infrastructure. The revised Directive includes ambitious provisions to ensure that buildings’ car parks will be progressively equipped with recharging points, allowing electric vehicle owners charge their vehicles when and where needed. For residential buildings with more than ten parking spaces, these measures will ensure that new buildings or buildings undergoing major renovations (under some conditions) are equipped with the dedicated infrastructure (power lines' ducting) suitable to allow for the subsequent installation of a recharging point for all parking spaces. The same requirement will apply to (new and major renovation of) non-residential buildings with more than 10 parking spaces, but only for 20% of parking spaces. For such buildings, at least one recharging point will also have to be installed and made available for users (e.g. to charge their vehicle while at work). The directive will also require Member States to lay down requirements for the installation of a minimum number of charging points, for all non-residential buildings with more than 20 parking spaces, by 1 January 2025, and to simplify the deployment of recharging points in buildings, e.g. in relation to permitting and approval procedures. Following the approval by the European Parliament of the revised directive on Energy Performance of Buildings on 17 April 2018, the Council of Ministers has to finalise its formal agreement in an upcoming Council meeting. This endorsement will be followed shortly by the publication of the text in the Official Journal of the Union, which will enter into force 20 days after publication. Member States will then have to transpose the new elements of the Directive into national law within 20 months.